I wish you a joyful and peaceful, lovely and happy, awesome and handsome year 2017. Hoping to see you in Giverny this year. Monet’s gardens are still closed, but the sky does its great show. I can’t get enough of it. Do you like sunrises and sunsets too? The old year has set, the new one is rising, full of hope. 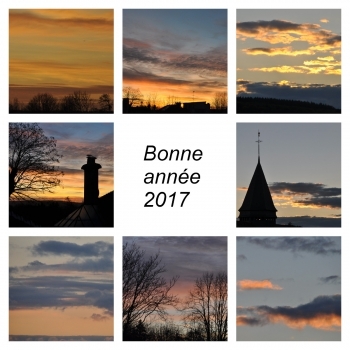 Bonne année !